Volvo has been very successful with its midsize XC60 and full-size XC90 SUVs. Now, the automaker is adding a compact to the lineup: the 2019 Volvo XC40. The smaller crossover is poised to take the industry by storm with next-generation technology and eye-catching Swedish styling. And it’s available now, at the Wynn Group in Norristown PA. The XC40 is a compact luxury SUV with a youthful spirit. Its smaller size makes it fuel efficient and easy to maneuver. Yet, there’s no compromise on versatility as the cabin offers plenty of space and handy features. All-wheel drive is also available for exceptional traction in horrid weather. Three trim levels are offered on the 2019 model: Momentum, R-Design and Inscription. The R-Design puts forth a performance-oriented demeanor, while the Inscription offers top-of-the-line luxury. Then there’s the Momentum, which although considered the base model, is full of vigor and panache. Volvo refers to the styling of the XC40 Momentum as “contemporary Scandinavian design.” The compact SUV sports taunt body lines along with gloss black window frames. Signature Volvo “Thor’s Hammer” LED headlights are also onboard, as is a large angled grille. The five-passenger interior features a minimalistic design paired with the latest technology. Leather upholstery, automatic climate control and ambient lighting are all standard fare. Meanwhile, a power liftgate supplies access to the expansive, 47.2 cu. ft. cargo area. The rear compartment features a foldable, removable floor, and the 60/40 rear seats fold flat to accommodate oversized items. 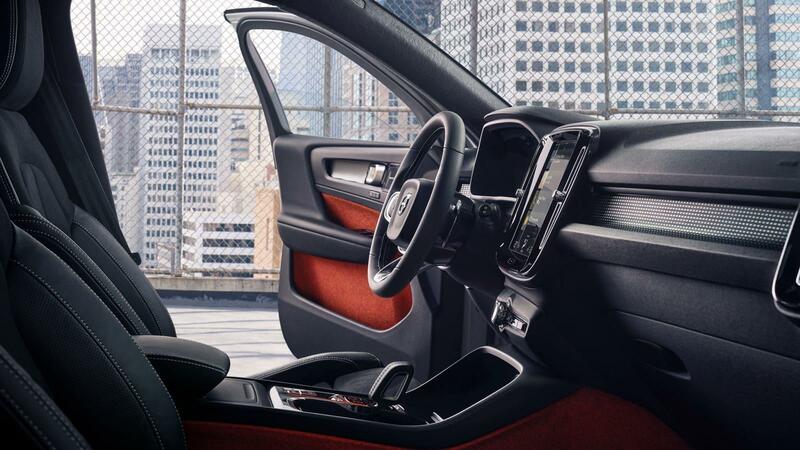 Throughout the cabin you’ll find hints of Volvos innovative Smart Storage technology. There’s space for all your essentials, thanks to touches like a foldout hook for bags, numerous storage bins and waste bin. One of the most forward-thinking attributes tied to the 2019 Volvo XC40 is the Car by Volvo subscription plan. The bundle includes insurance and maintenance built into the SUV’s monthly payment. All XC40 models, including the Momentum, are built on either the T4 front-wheel drive platform or the T5 all-wheel drive platform. The sole engine option is a turbocharged 2.0L four-cylinder that puts out 248 hp and 258 lb.-ft. in T5 models (187 hp and 221 lb.-ft. in T4 models). An 8-speed automatic transmission is used across the board. Volvo is known for its technological prowess and the XC40 is no exception. The compact SUV boasts a 9-inch Sensus touchscreen infotainment system, onboard Wi-Fi and more. There’s also a 12.3” Digital Driver Display that makes all information easy to view. Like the rest of the XC40 lineup, the Momentum comes standard with Volvo’s City Safety suite of features. In the bundle, you’ll find the latest advanced driver assistance functions such as forward collision warning with automatic braking, a rearview camera and lane departure warning with mitigation. The Volvo On Call Communications system is also onboard. 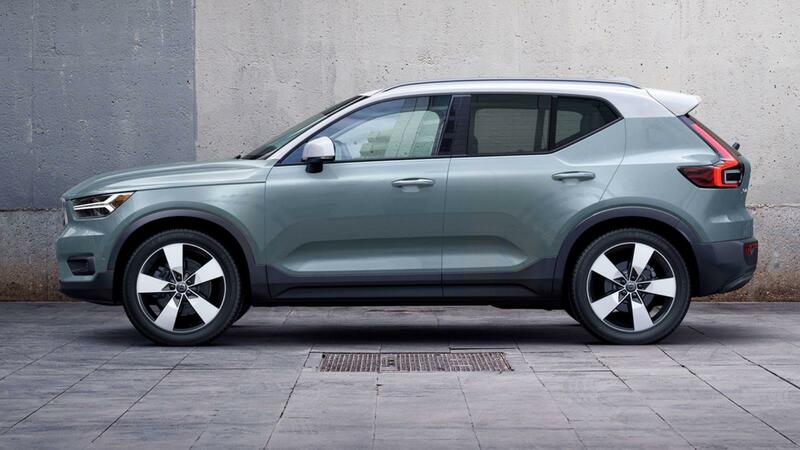 The 2019 Volvo XC40 is available now at the Wynn Group. Our Norristown dealership has all three trim levels available, including the Momentum model. Stop by today to experience this exceptional piece of Swedish engineering firsthand.